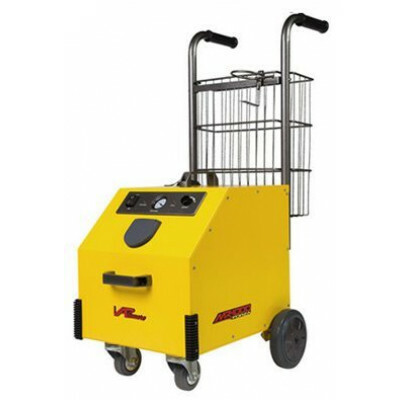 This Vapamore MR-100 Commercial Steam Cleaning System was a demo unit & has since been sold. The Forza steamer features commercial grade steel construction, continuous steam flow, computer controlled operation, Italian manufactured CEME brand internal components, specially designed extra large stainless steel boiler with 1700 watt heater, 90 psi steam output pressure, ETL certified, life time warranty, and the largest selection of included accessories. To purchase a new unit, please look at our new listing for the Vapamore MR-100 steamer. Customers who were interested in the Vapamore Forza Commercial Steamer - Demo Model (NEW) were also interested in the following items. This is a review for the Vapamore Forza Commercial Steamer - Demo Model (NEW).